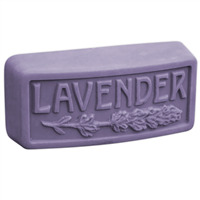 COMMENTS: Good quality mold, I like that I can keep my bar soaps in the size of 4 oz. 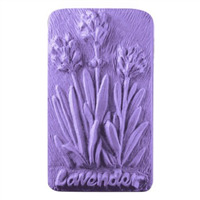 And everyone love the detailed the words Lavender on the bar soap look like. COMMENTS: These bars are cute enough, but I was hoping they were a bit wider. They are only 2 inches. I should have seen that, but was in a hurry when I ordered and didn't read the exact measurements. I only read the final bar weight, which is decent. They are long enough and deep enough top to bottom, but they are fairly thin. It does give them a different look and people at the craft show bought a good number of them, so maybe being only 2 inches wide doesn't matter in the long run since they are cute.